Serological pipettes from Sarstedt are produced from crystal clear polystyrene. Due to the printing with a positive and negative scale, the products are suitable for all kinds of applications. In addintion, the pipetting volume is increased due to the negative scale. The optimised mouthpiece of the pipette offers a universal, drip-free seat in conventional pipetting aids. The marking with the international color code means that quick and easy identification of the different volume is possible. 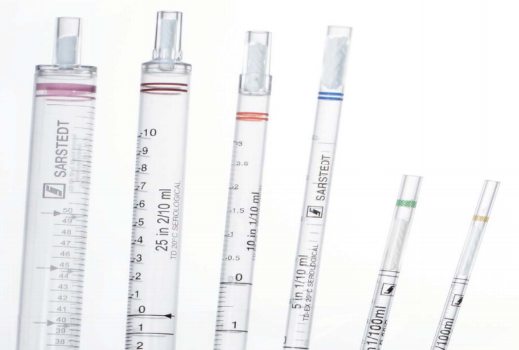 The individually packaged serological pipettes are sterile and are certified pyrogen-free/endotoxin-free and non-cytotoxic.